As important as Valentine’s Day may be, an opportunity to celebrate your best gal pals should never be overlooked. Galentine’s Day, the unofficial holiday inspired by Park & Recreation‘s Leslie Knope, returns on February 13 with a perfect opportunity to show your BFFs exactly how much they mean to you. 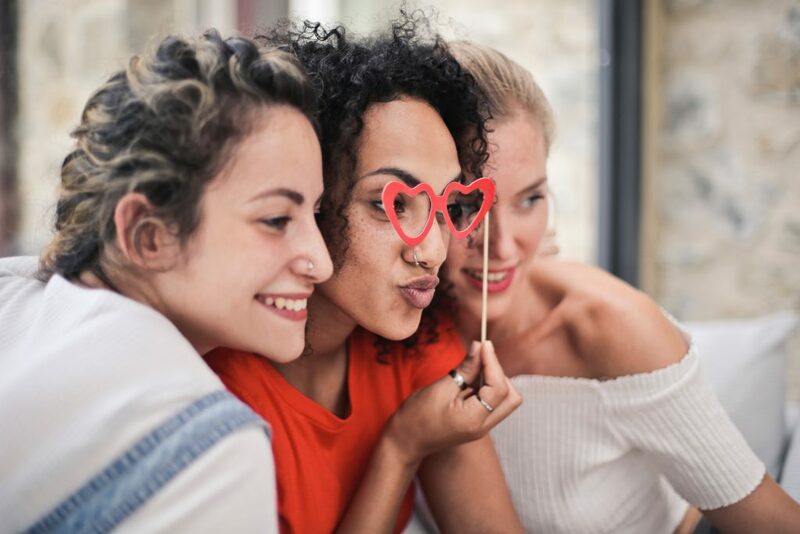 If you’re looking for the perfect Galentine’s Day itinerary, look no further than our Costa Mesa tips below. This comfy café is one of the most popular brunch spots in town with locals. The menu is full of Pacific Northwest inspired comfort food, from eye popping savory egg skillets to its famous Dutch baby or Northwest berry waffle. The brunch menu also includes an option for complimentary coffee and choice of mimosa, champagne or bloody mary. After your brunch cocktails, it’s time to perk things up with an Rx latte from Coffee Dose Costa Mesa. This organic, vegan and always a little cheeky café serves up lattes designed to nourish. Try out The Beauty for a dose of vital proteins collagen with raw almond milk and housemade rose or lavendar syrup, or the Mary Matcha for a relaxing blend of organic matcha, lavender syrup and almond milk. NEW CUPS! We decided we’re gonna have a little fun this Valentines season…okay okay we always like to have a little fun! Full collection drops tomorrow! Tag your #BestBitches and head over! Plan for some pampering at Lollipop Nail Studio at The CAMP, Orange County’s eco-friendly shopping center. Lollipop is dedicated to using high quality organic ingredients as well as top shelf gel and non-toxic nail polish. Light, bright and full of soothing scents and colors, the studio is the perfect place to relax in style. Head just next door to The Wine Lab for a chemistry class anyone can enjoy. Choose from three rotating tasting flights and grab a charcuterie plate to enjoy them on the tastings room’s outdoor patio. The CAMP inspires everything creative and peaceful, so you’ll feel at ease surrounded by outdoor art and greenery. Sneak in a little shopping at SEED Peoples Market, a unique boutique that boasts a motto of “Products with a Purpose,” while you’re at The CAMP. You’ll find everything from rugged outdoor gear to housewares, small label women’s clothing, handmade accessories, sustainable kids toys and vintage furniture. No matter what your taste, you’re likely to find yourself – or your galentine – the perfect treat. Of course you can always add a Broadway show at Segerstrom Center for the Arts to your itinerary, but even if you don’t, we recommend you try a cocktail at the center’s outdoor bar. George’s Café offers ample outdoor seating, wine, beer and cocktails as well as a full dining menu. There are also often free events and concerts happening on the Argyros Plaza, giving it the perfect ambiance for a laid back night out with the girls. If you really want to celebrate your gal pals, why not dig some time out for a weekend girls’ trip. Plan to stay at the trendy Avenue of the Arts, a Tribute Portfolio Hotel or luxurious Westin South Coast Plaza and you’ll be close to everything you could desire. 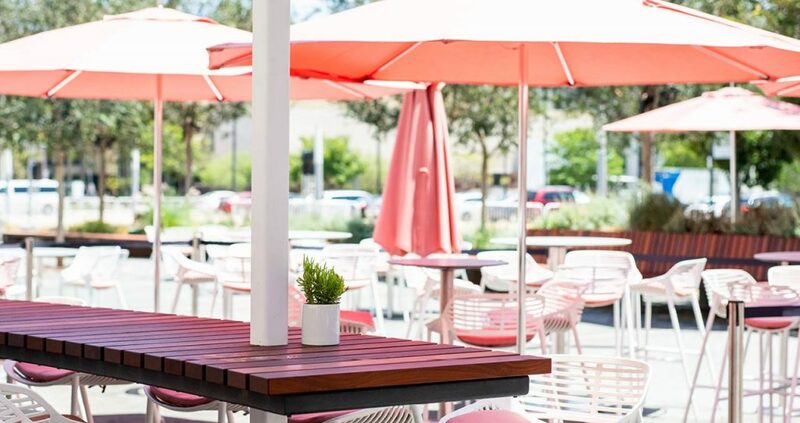 Use the itinerary above as a starting point, add in massages or facials at South Coast Plaza’s Nordstrom Spa, lounge by the pool or add in a Broadway show to really push it over the edge.